Should You Buy A Bush, JVC, Logik Or Technika TV? - Which? Should you buy a Bush, JVC, Logik or Technika TV? Can retailer and supermarket TV brands by Argos, Currys, Sainsbury's and Tesco hold a candle to the big-name competition? 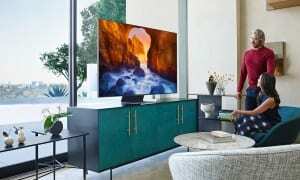 TVs can be an expensive purchase, and sets from Sony, Samsung, LG and Panasonic can easily cost several thousand pounds. Even entry-level models typically launch for more than £500. So when you see a smart, 4K, HDR Technika TV in your local Tesco - just like a Samsung but for half the price - it's easy to be tempted. If our decades of TV testing has told us one thing it's that the specs on a box don't always equal a good TV. One 4K panel is not as good as the next and there are many more aspects that determine whether a TV looks and sounds good. So, should you be wary of these bargain TVs? Is one store brand better than other? Or do you need to spend a bit more on a more recognisable brand to get the best experience? The table below shows the average scores of the TVs from many of the brands you'll find in supermarkets and electronics retailers. Only logged-in Which? members can see how each brand compares below. If you're not yet a member, get instant access by joining Which?. 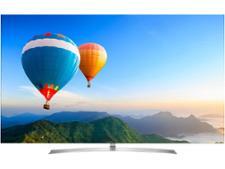 Best TVs - find out which models sit at the top of the pile. Many of the leading supermarkets and electronics retailers in the UK now have their own brands. Some are owned by the store and some have exclusive licences - you'll only find JVC in Currys, for example. It's not always clear when a manufacturer is affiliated with a certain store - only John Lewis actually uses the name of its store in its tech branding. JVC used to be one of the biggest tech brands around. The Japanese company made everything from TVs to camcorders and sponsored Arsenal FC at one point. JVC's name has wilted somewhat in recent years and now LG and Samsung are the biggest names in TVs, but you can still get JVC products in the UK. You'll only find them in one place though - Currys. Despite JVC still being a separate company Currys has exclusive retail rights to its products in the UK. 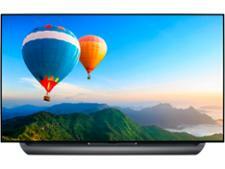 Its smaller, cheaper TVs are only HD-ready, increasing to Full HD when the screen size gets to 40 inches or higher. 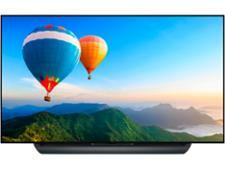 JVC makes 4K TVs, too, with prices starting at just £300 for a 43-inch model. Which? members can see JVC's average TV test score below and those of the other brands featured further down. Now synonymous with Argos, Bush started life as a radio brand in the 1930s. It's actually owned by Argos's parent company Sainsbury's and it makes everything from dishwashers to tablets and, of course, TVs. Like JVC, Bush makes a range of TVs, from 24-inch HD-ready models all the way to 55-inch 4K ones. It makes TVs with built-in DVD players, too. Just like their big-brand counterparts, most Bush TVs have smart features giving you access to streaming and catch-up apps. The bigger 4K sets support HDR, too. Bush isn't the only electronics brand sold exclusively by Argos, Bush is also owned by Sainsbury's. The similarities don't stop there as Alba started out making radios, but it's got a few years on Bush; it's been around for more than a century. While Argos's Bush TVs range from 24 to 55 inches, Alba models don't get any bigger than 28 inches and all the ones currently available have built-in DVD players. You won't find any 4K displays or HDR compatibility and they aren't smart either. 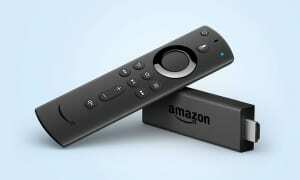 You'll need an internet TV box to get any catch-up or streaming apps. Argos isn't the only retailer to have exclusive brands, Currys does too. Alongside JVC, Currys created Logik. These TVs tend to be smaller than the JVC range. The largest model is 55 inches, while JVC has a 65-inch model. There are still 4K Logik TVs though and they are cheap. The 55-inch 4K HDR model is usually around the £350 mark. The majority of the TVs are smaller than 32 inches and only HD-ready, with prices starting around the £90 mark. The 4K Logik range is smart, too, with access to streaming and catch-up apps. Celcus is yet another brand under Sainsbury's umbrella, but at the moment its TVs don't seem to be available. The same goes for Tesco, which puts the Technika branding on its TVs. Tesco Direct ceased to exist in 2018, which would account for the lack of TVs available online, but Tesco may still stock these TVs in-store. 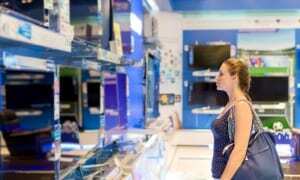 Should you buy a store brand TV? 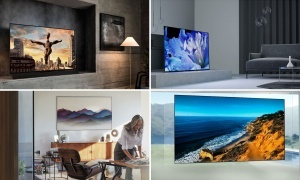 The price of store-brand TVs may certainly be tempting, as may what appear to be a wide range of features that, on paper at least, make them a match for the best Samsung and LG have to offer. Our testing has shown us that a long list of features doesn't necessarily make a good TV. A screen capable of displaying 4K resolution may be terrible at showing HD content. At the end of the day, these store-brand TVs are the cheapest on the market and our reviews will highlight the ones that are worth a look, but if you're on a tight budget then don't discount TVs from the bigger brands. LG, Samsung, Sony and Panasonic all have their own budget sets, especially if you go for a TV released the previous year. Before you decide, read our guide to the best TV deals, where we reveal sets we rate highly and that are available at bargain prices right now.